Everyone knows that you can have a great costume idea, however, without the right accessories; you won't have the desired effect. 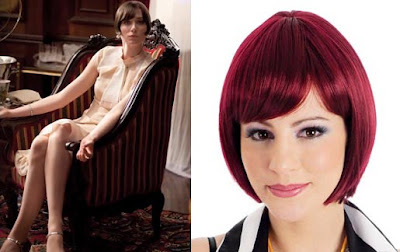 Wigs can make a unique costume even better, which is why this time of year is so exciting for us here at WigSalon. We have an incredible selection of wigs for any Halloween costume you can imagine. For example, Lady Gaga has long been a favorite, and her fans are tried-and-true Monsters, as she likes to call them. Our Lady Gaga wigs are the perfect choice for creating a Lady Gaga costume that will surely grab the attention of everyone you meet at your big Halloween party. According to Chris March, who is well-known for his inventive wigs, every great costume starts with the wig. His focus has been on wigs that are light-weight and comfortable, which makes them perfect for any Halloween party or even trick-or-treating with the kids. March has worked with stars such as Beyoncé and Madonna, and he stands behind his wig promotion, stating that they "...give you confidence and make you feel powerful." A quick peek at our Halloween collection will show you just how much variety we have when it comes to finding the perfect wig. Whether you're planning on hosting a Halloween party at your home, or you just want to do something special to entertain your kids this Halloween, you'll find the perfect wig for you. Don't let another year go by without wearing that great costume you've always wanted to wear. Check out are exclusive collection of costume wigs today! Halloween is creeping up fast. Have you thought about your costume? If not, it’s time to add “order costume” to your to-do list before this year’s best costumes and Halloween wigs are snapped up. Choosing the right wig can make the difference between a ho-hum costume and a head-turner. Rocking a great Halloween costume is about losing yourself in the character. Hair is as important as makeup and clothing in creating a believable alter ego. The right costume wig from WigSalon.com will add authenticity to your costume, allowing you to embrace your new persona with panache. Halloween is one of the few opportunities adults have to indulge their fantasies, if only for an evening. Who do you want to be? A haughty queen, ruthless Viking king, super hero, flesh-eating zombie or a dangerous gangster? Hit movies and popular television shows typically inspire the year’s most popular adult Halloween costumes. This year the popularity of Game of Thrones on HBO and Starz’ The White Queen has created demand for medieval royalty costumes. Our fascination with A&E’s Duck Dynasty is expected to cause a run on long, full face beards. 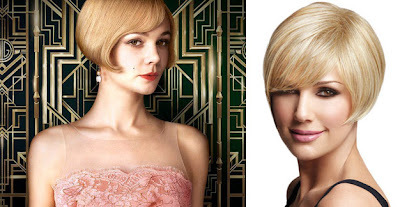 The Great Gatsby and Boardwalk Empire have renewed interest in flapper and gangster costumes. New films in the super hero and Star Trek franchises continue to drive demand for these perennial perennial costume & party wig favorites. And for traditionalists, Zombies, given a boost by World War Z, are expected to push vampires out of the spotlight this year. 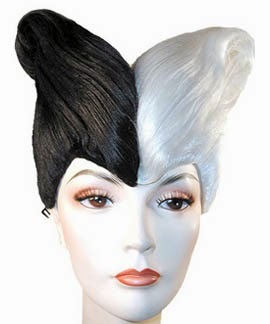 Whatever you decide to be this Halloween, you’ll find the perfect costume wigs at WigSalon.com. 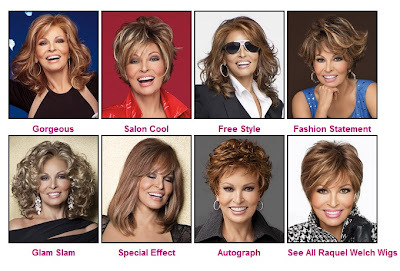 WigSalon is excited to introduce six beautiful new wig styles from Raquel Welch! 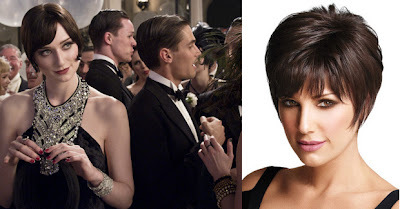 The Fall 2013 Signature Hair Collection includes five fabulous wigs and a wonderful new hairpiece. All have ready-to-wear lace fronts, which gives you natural-looking hairlines and the freedom to style your hair off the face. Click on the banner above, or the link below to view the new styles. They are all very special and worth your inspection. And always remember to type VIP in the COMMENTS BOX for VIP pricing from WigSalon. European Human Hair wigs are beginning to be a big trend in the wig industry. Russian and other European countries are the best source for long silky hair, that has a natural look and feel to it. In addition, European hair requires less treatment and isnt processed with harsh chemicals and bleaches like hair from many Asian sources. With the economy improving, and many religious traditions requiring kosher wigs, the wig industry is beginning to stock these high quality wigs when previously you would need to place a custom order and pay top dollar. The Australian singer/actress’ wig wardrobe is the height of fashion. 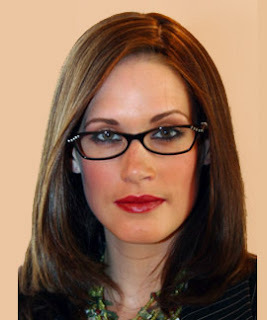 Wig wear is a hot trend among today’s young celebrities. Wigs are popping up on more celebrity heads as celebs tune into the convenience and instant style wigs offer. Beyonce, Jennifer Lopez, Sharon Osbourne and Lady Gaga are among the popular celebrities that are taking wig wear off-stage and into their private lives. “In days of fast fashion and trend-oriented pop culture chameleons, wigs are a perfect and easy accessory that can give anyone, let alone a public figure, an entire new look,” Hoyer said. 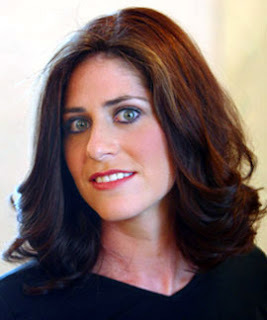 Quality wigs on WigSalon.com are so well-crafted and natural-looking that only you and your stylist will know if it’s your own hair or a wig. 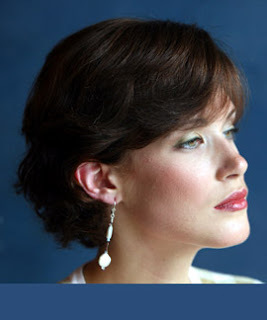 WigSalon.com offers a tremendous selection of today’s best wig brands in every imaginable style and color. Visit us today to view our extensive natural hair and synthetic wig collections. Hair, makeup and clothes are the props that Hollywood actors and actresses use to create the memorable characters that populate the silver screen. 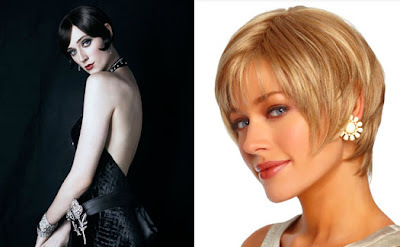 Wigs of all colors, shapes and styles play a prominent role in articulating the personalities of movie characters and defining the time and place in which they live. Usually Hollywood does a masterful job of choosing wigs that add authenticity to a character and help immerse us in his or her world. But sometimes Hollywood gets it wrong. A poorly chosen wig can actually distract us from the character or create a jarring disconnect with the mood of the film. The wig Tommy Lee Jones wore in Lincoln is an almost comical example of wig distraction. Even though the character Jones played wore a hairpiece, the wig selected was so comically ill-fitting that it detracted from the actor’s performance. When Jones was onscreen it was a challenge to focus on his performance rather than the rumpled squirrel pelt on his head! With wigs from WigSalon.com you’ll only get rave reviews. On our expert wig advice page, you’ll find excellent tips for choosing the size, style and color wig that’s right for you.